Texans can now display their wildflower pride and support Texas’ native wildflowers and landscapes by purchasing the Texas Wildflowers specialty license plate. The new plate depicts four iconic spring blooming wildflowers that are broadly distributed across Texas: Texas bluebonnet, pink evening primrose, Indian blanket and Indian paintbrush. Proceeds from plate purchases go to support the Lady Bird Johnson Wildflower Center and its efforts to conserve native plants and promote the restoration and creation of healthy landscapes across Texas. “We are thrilled by the early response, and hope the Texas Wildflowers plate will remind residents of the beauty and value of flowering native plants that help herald spring’s arrival,” said Robin Murphy, development director of the Wildflower Center. 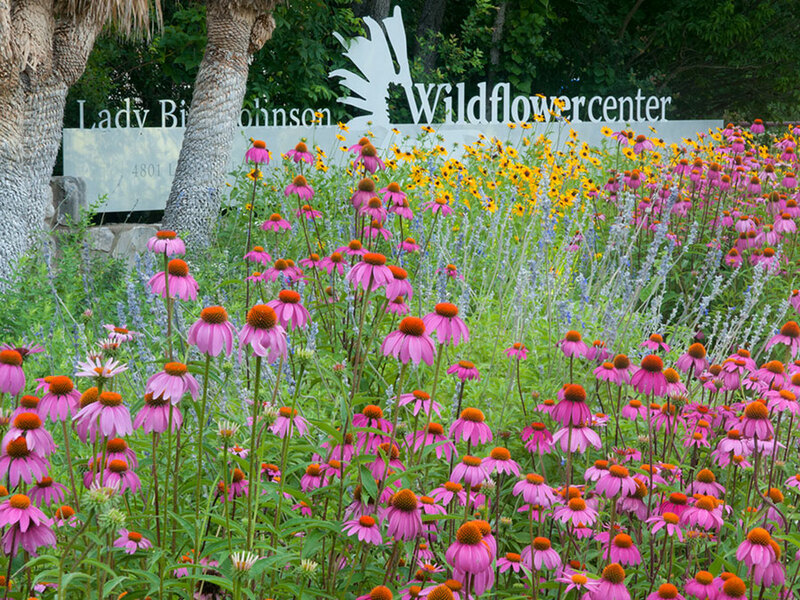 The Wildflower Center will receive $22 of the $30 fee for each Texas Wildflowers specialty plate sold (this fee is beyond the annual vehicle registration fee). The Center is a self-funded unit of The University of Texas at Austin. Texas has nearly one quarter of the nation’s native plants, or more than 5,000 different species. Of Texas’ native species, 31 are currently considered at risk of extinction. Native plants face threats such as habitat loss and the introduction of aggressive, non-native species (called invasives) that compete with natives for resources. The center is well known as a native plant botanic garden in Austin, Texas, and for hosting the most extensive online guideabout North American native plants. The center also conserves native plants through major seed banking efforts; researches and houses endangered Texas plants; and operates a statewide citizen science effort to identify and eradicate invasive species. 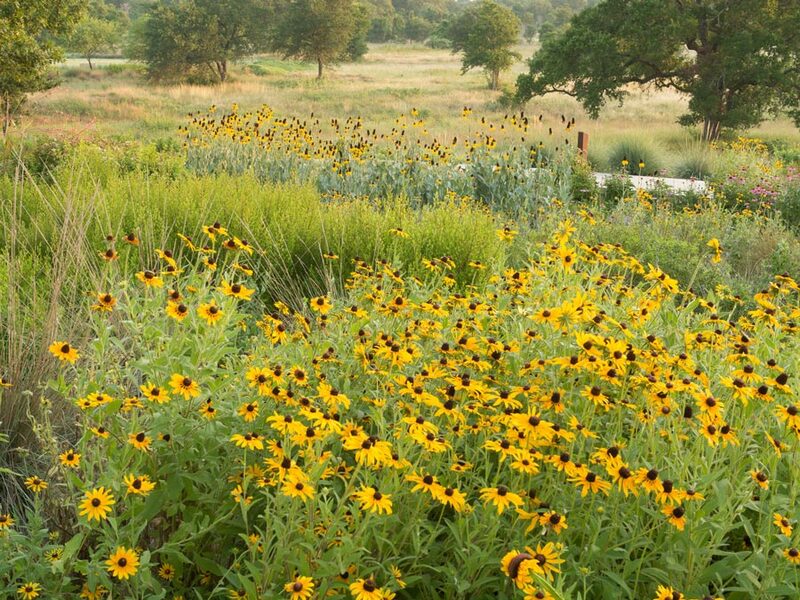 Additionally, the center works with cities, developers and landowners to restore and create vibrant landscapes across Texas in commercial, public and residential sites that use native plants and support native wildlife. And it helped develop the nation’s most comprehensive guidelines for sustainable landscapes. The Texas Wildflowers license plate artwork was created by a Wildflower Center volunteer. Collene Sweeney, a retired graphic designer, taught herself botanical illustration as a volunteer at the center beginning in 2011. She drives to the center from Williamson County every Thursday to illustrate, and began working on the plate’s design pro bono in December 2013. The Texas Wildflowers specialty plate received nearly three times as many yes votes as the next most popular plate under consideration when the Texas Department of Motor Vehicles solicited online comments last fall. Learn about obtaining the Texas Wildflowers license plate here.